If you want to learn how to make a festive Thanksgiving vest out of your old grocery bag, check out the Internat for one of the craftiest blogs on this side of the web. But if you’re looking for tips and tricks on living the most amazing low-sodium life possible, well then you are exactly where you need to be. Juicy salt-free popsicles included. Here’s the truth: you’re going to be spending a lot of time in your kitchen. So make sure you love being there with the blenders, books, and salt-free beans you need to make low-sodium cooking a cinch. under the CATEGORIES sidebar (right there, to your right) or by clicking the links provided above. You can also check out my Low-Sodium Amazon Wish Lists by licking on the AMAZON link over on the right side bar or on the button below. 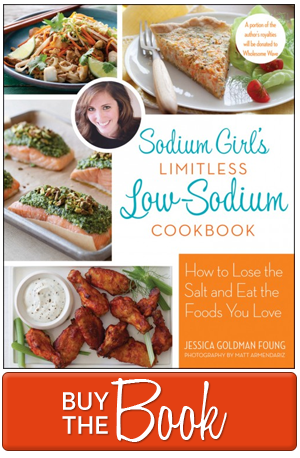 There you’ll find FOUR WISH LISTS of cookbooks, food products, and tools sold on Amazon that have the Sodium Girl stamp of approval. But just to be clear, I don’t receive any money from this. I don’t get a paycheck if you buy this stuff. But I figured this was a great way to show you exactly what kind of beans I like to use. Or what that immersion blender (that I talk about all the time) looks like. I’ll continue to develop this list as well and, come the holidays, feel free to send it to friends and family. 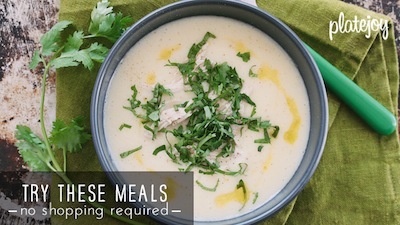 Who doesn’t dream of receiving no-salt-added chicken broth for Christmas? Turns out there are a lot of fun things to do and explore in life that will require you to leave your stove. I know, it’s a scary thought, especially since you will inevitably need to trust other people to provide you with food that is healthy and safe. But I’ve been doing this for almost eight years and trust me when I say that safely eating beyond your own home is not only possible, it is necessary. Think about it: You’re keeping this low-sodium diet so that you can stay healthy and strong. Which means staying alive. So go out there and live! for advice on everything from getting take-out to packing for a four-day camping trip.